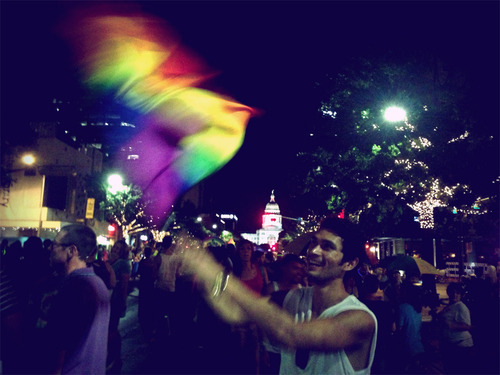 Yes, that’s me joyously waving a giant rainbow flag in front of the Texas state capitol. This weekend was Austin Pride and I tried my best to live it up despite the intense heat. Look out later this week for a video chronicling my Pride experience!